Food insecurity refers to the USDA’s measure of lack of regular access to nutritional food for an active and healthy life. The food insecurity rate in Henry County is 13.3% of the total population, and the child food insecurity rate is 18.0%. Last year, Dare to Care distributed enough food to provide 463,495 meals to Henry County families in need. Of that, 144,000 pounds were fresh produce, which was distributed for free. Any mention of the Dare to Care Food Pantry at the Henry County Help Center, brings 80-year-old Joe to tears, every time. The gratitude he has for longtime co-worker and friend, Director Joe Durbin and his staff of volunteers, is overwhelming. “This is a tremendous program. It really helps us financially when we struggle to make ends meet,” Joe says tearfully. Joe worked faithfully for Fischer’s Meat Packing Company for 43 years. Now, the high cost of his wife’s medicines and the challenges of being on a fixed income push Joe and his wife to make ends meet. “At times we may only have $30-40 each month for groceries. But with this help here, we can make it,” Joe says proudly. Joe met Food Pantry Director, Joe Durbin, many years ago when they worked together at Fischer’s. And today, Joe Durbin volunteers seven days a week to keep people in his community, like his buddy Joe, from going hungry. 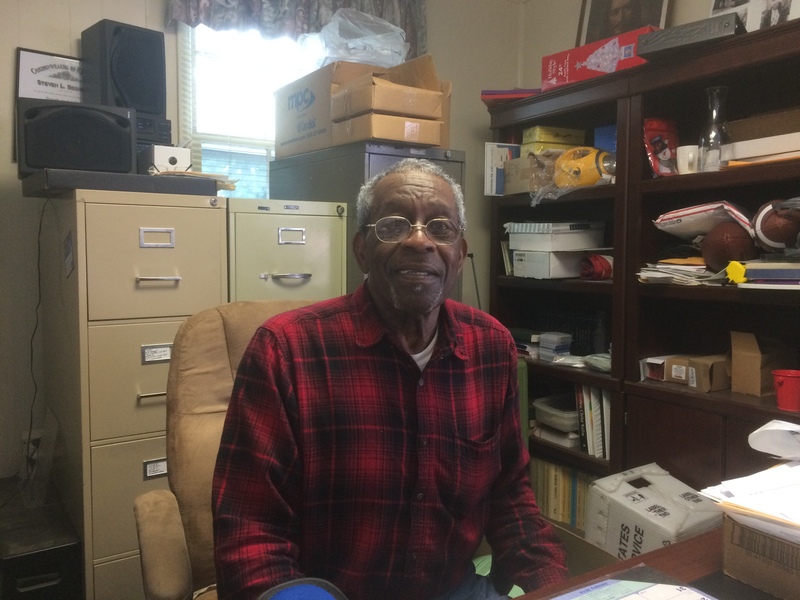 Joe believes Dare to Care can help many seniors like him find hope and find food.